Millennials will comprise more than one in three of adult Americans by 2020 (the largest segment of the total population). Millennials account for more than $1 trillion in U.S. consumer spending. 89% expressed a stronger likelihood that they would buy from companies that supported solutions to specific social issues. 19% of Millennials agreed with the statement, “most people can be trusted.” This compares to 31% of Gen Xers, 37% of the Silent Generation (those born during the Great Depression and World War II), and 40% of Boomers. According to the Decennial Census and American Community Survey, about 61% of adult Millennials have attended college, whereas only 46% of the Baby Boomers did so, with fully a third (34%) having at least a bachelor’s degree….the best-educated generation in history! In terms of the economic power, a Federal Reserve Board of San Francisco study reported in May 5, 2014 that there is an $830,000 difference in life time earnings between getting a college education over just a high school diploma. Thus, while one-third has college degrees, College Millennials represent a disproportionate share of the $1 trillion market. As shown in the chart below from this same Pew Research study, the largest and most striking income disparities between college graduates and those with less education surface in the Millennial generation. 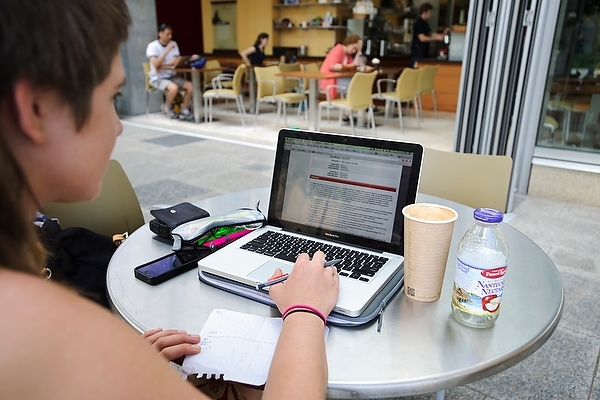 Common belief is that the vast majority of Millennials are engaged with social media. As shown below, however, the college student segment is far more engaged than other Millennials, including newer fast growing platforms such as Instagram and SnapChat. And, very important, social media plays a significant role in acquiring brand awareness and in the path-to-purchase. This was detailed in a study co-lead by DigitalMediaIX analyst, Roger Brooks, The Virtuous Circle: The Role of Search and Social Media in the Purchase Pathway. So what are the implications for marketers and advertisers? With heavier social media usage and far higher income, targeting the College Millennial segment of the Millennial generation offers the most favorable ROI on digital and social media advertising investment. College students can be particularly attractive…. High social media engagement in some categories, (e.g. 88% smart phones, 82% laptops, 74% apparel) . Understanding and leveraging social media engagement on brands within your category can further optimize digital media planning and placement and campaign ROI, while increasing competitive advantage more generally. Incorporating a brand’s social good in an overall messaging strategy, if legitimate, will likely further enhance trial, adoption, and brand advocacy. While “trust” has long been a fundamentally important brand attribute, establishing this with Millennials may be particularly challenging. 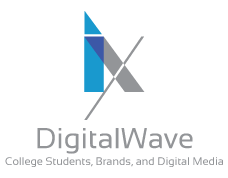 As indicated above, DigitalMediaIX’s data insights captures social media usage among preferred brands, as well as other important brand related attitudes and behaviors such as key purchase drivers and path-to-purchase, among U.S. and Chinese college students. Gaining a brand foothold in the early years of College Millennials can help optimize the opportunity to build life-time brand loyalty and advocacy as well as enjoy the benefits of free/earned media.